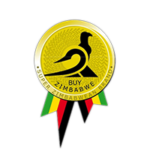 A full-service market research agency based in Harare that carries out projects throughout Zimbabwe and the region. Our mission at Select Research is to deliver relevant, reliable, timely, innovative and actionable research solutions that add value to our clients through uncompromising professionalism and commitment. Select Research opened its doors for business in 2001 and has arguably been one of the fastest growing market research firms in Harare, and Zimbabwe. We have positioned ourselves as a young, dynamic and innovative organization, which is committed to world-class practices in the delivery of quality, actionable marketing research service to our clients. Select Research is completely independent in its operation and strives to maximize the benefits of commissioned research for its clients. .
Tov is a very well-known and liked figure in the research industry and has over a decade of experience gained across all sectors and types of research. Due to his passion for research, he shares his knowledge by lecturing at Trust Academy, the University of Zimbabwe and The Graduate School Management. He holds an Honours degree in Statistics, an MSC in Demography from the University of Zimbabwe and an MSC in Biostatistics from the University of Zimbabwe Medical School. 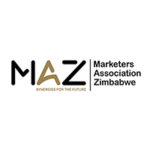 Tov is a member of several professional bodies in Zimbabwe and the region including The Marketers Association of Zimbabwe (MAZ), Buy Zimbabwe, the Biostatistics Association of Zimbabwe (BAZ) and the Pan African Media Research Organization (PAMRO). Henry is a non-executive director of Select Research. He currently works for NSSA as the Director of Benefits. His major role is in directing the Data Processing Department during analysis. He holds a BSc Honours degree in Economics, MSC Degree in Population Studies and a Doctor of Philosophy Degree in Development Studies from the University of Zimbabwe. He also has other professional qualifications in investment and social protection. Kennedy is a Senior Research Executive where he has worked since 2001. His experience is wide-ranging and covers clients from both the public and the private sector in a variety of industries e.g. media, telecommunications, FMCG, utilities, finance, public services, and manufacturing. Kennedy has the flexibility to tackle both qualitative research and quantitative research projects, although his favourite he admits is quantitative research! Kennedy holds a Masters in Information Systems with NUST, BSC Honours Degree in Management Information Systems and a Marketing Management diploma. Nyasha Mudiwa is a Research Executive with more than 10 years’ experience in the field of research focusing on product research and development, product testing as well as monitoring and evaluation. Nyasha is also a passionate Food Technologist with technical knowledge and experience in product manufacture, packaging and distribution. Her multidisciplinary skills come from hands-on exposure in the public, private and non-governmental organisation sectors . She holds a degree in Masters of Business Administration, Bachelor of Science Honours in Biochemistry, Higher National Diploma in Food Technology and Business Management, and a Diploma in Monitoring and Evaluation. She is also a qualified Digital Marketing Practitioner and an accredited Marketing Practitioner. Sarah is our Marketing Executive and with two years’ experience in marketing and market research. She holds a Bachelor of Commerce Degree in Marketing from Midlands State University, competent in Digital Marketing, Behavioral Safety and is an accredited Marketing Practitioner. Peter Ndaramu is a Data Analyst and he has over two years’ experience of working with quantitative data. He holds a BSC Honors Degree in Statistics from the University of Zimbabwe. Rumbidzai is our friendly and efficient receptionist. She studied Hospitality Management and worked in several units of the former African Sun Group of Hotel as front office personnel. Timothy is our field supervisor. 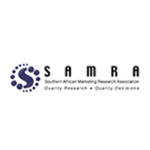 Select Research is a well- respected and established market research agency which is affiliated with all the professional market research associations in the region.